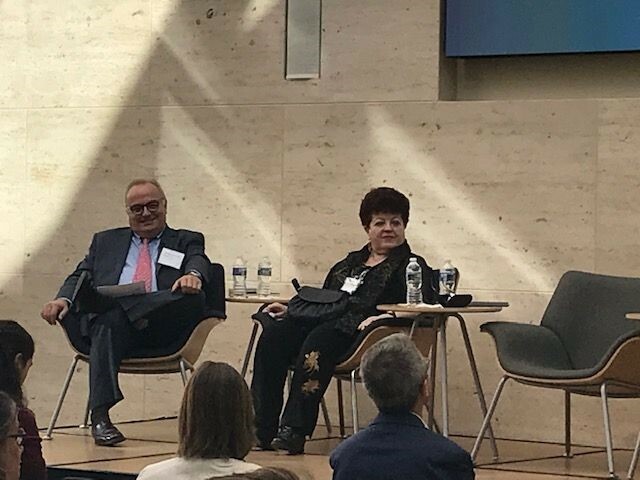 EDEN President Airina Volungevičienė was invited to participate in the Summit “Beyond the Walls: The University of the Future”, organized by University of the Future Network (UFN) and the University of Pennsylvania Online Learning Initiative. 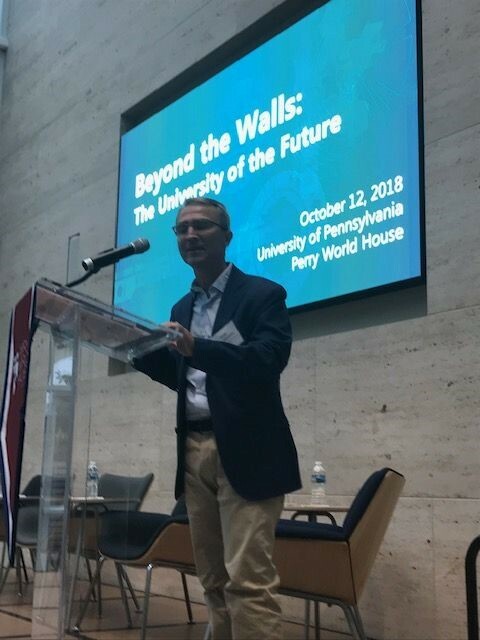 On October 11th and 12th, the Summit “Beyond the Walls: The University of the Future”, was organized by University of the Future Network (UFN) and the University of Pennsylvania’s Online Learning Initiative, in the format of expert meetings, Panel debates and a short conference. The aim of the Summit was to discuss and to share different perspectives and models of universities, and to assess topics such as the global university, the digital university, the equitable university and lifelong university. The proposal of UFN as a network contains different perspectives and different visions, because there is not just one university of the future model, it will be several models and different kinds of universities. The symposium was opened by Josep M. Duart, EDEN Vice President of Research, who established UFN two and a half years ago at the Open University of Catalonia, in Barcelona with the mission to analyze and to explore how higher education institutions evolve and how this evolution process takes place. UFN is now an international and interdisciplinary network of experts and researchers in the field of higher education. UFN currently has over fifteen members from fourteen countries and five continents. I was invited to participate in the Summit in expert meetings, as well as a member of the“The Global University” Panel, together with Alan Ruby, Ezekiel J. Emanuel and Mauro Guillen from University of Pennsylvania, moderated by Cristobal Cobo. 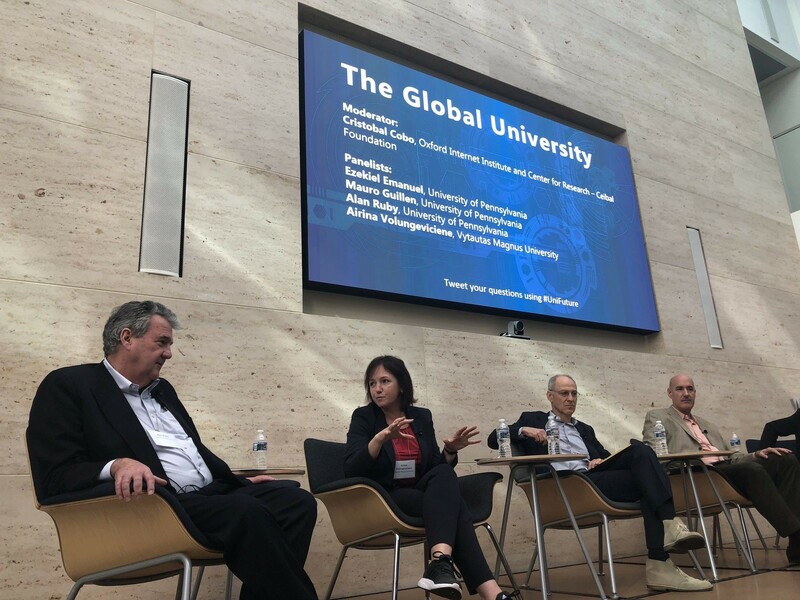 The Panel highlighted the questions what characteristics does a global university have and what challenges the global dimension brings, whether global means digital and if we are there yet. The Panel was accessible through social media channels with the #UniFuture. Some records are available at the Penn Online Learning twitter site. Sarah Guri – Rosenblit from the Open University of Israel, one of the prominent EDEN members, took part in the second Panel “Digital university” which discussed if teaching and learning improve as a result of online teaching and online learning, and what is the ratio between MOOCs, which are non-credit courses in the majority of cases in the States, and for-credit online learning offers. Panel members consisted of Wallace Boston from the American Public University System, Nikhil Sinha, GSVlabs and Coursera and Cadace Thille from Amazon.com and Standford University. The very successful event proved that we need to discuss these issues, and we need to fine-tune our understanding, as too often we are too far in our estimates from each other. We must also revisit the strategies we develop in order to support and to achieve global, digital, equitable and lifelong learning higher education. EDEN was invited for collaborative and thoughtful development, as demonstrated also by the Online learning initiative at UniPenn, so that we can have education spread as a culture throughout the world. UFN is a wonderful initiative established. This is one of their events already organized in different countries, which reflections have been published and conclusions drawn. Through chamber events, PhD Symposiums with doctoral students; through special issues published in international journals, UFN opened up new areas of reflection and action as a result of the last meeting at University of Pennsylvania in Philadelphia.